Diwali is five-day Hindu festival which is celebrated in India, Singapore, Malaysia and Fiji. Diwali, which also means row of lights, involves the lighting of small clay pot lights filled with oil to signify good over evil. In India, fireworks are burst as a way to drive away evil spirits and celebrants wear new clothes and eat sweets all day to commemorate this special holiday. 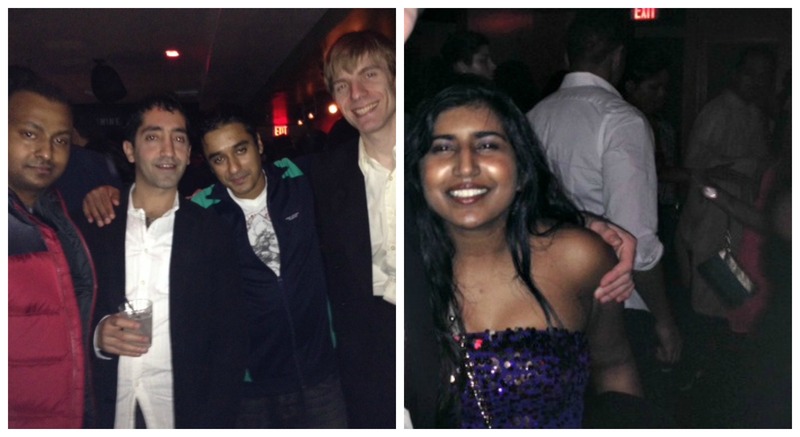 I’ve never celebrated Diwali before and was happy to celebrate it, for the first time, last weekend. My bf and I dressed to the nines and ate the best Indian cuisine Washington D.C had to offer. Red Toque Cafe, located by Rhode Island Avenue Northwest, is a quaint cafe in an unassuming part of town with the nicest wait staff i’ve ever met. I felt so welcomed when I walked through the doors and my bf felt the same way too! I wasn’t sure what to get so I picked the usual I always get at most Indian restaurants, lamb biryani. My bf got the butter chicken and was excited to try it for the first time. He read on Yelp that this location had high reviews boasting about how perfect and savory Red Toque Cafe’sred biryani and butter chicken were. Each dish from the menu was priced at an affordable rate (super cheap) yet the taste doesn’t match the price. The lamb biryani, butter chicken and hummus we ordered was peerless to even RASIKA. Yes, I said it! 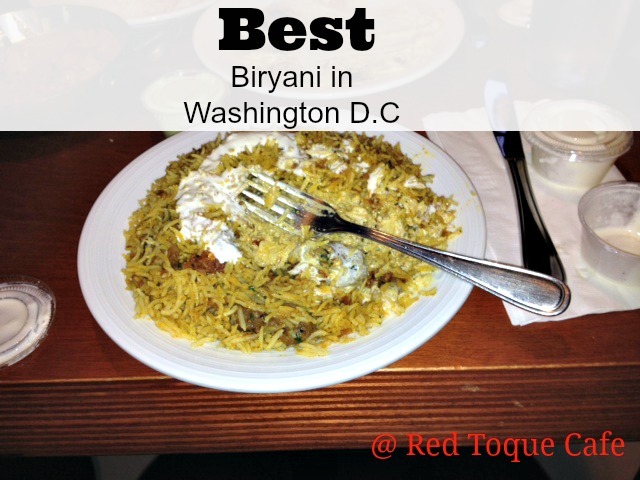 Though Rasika is known as number 1 in Washington D.C as the best Indian restaurant for all foodies, I think Red Torque Cafe has a better biryani and curry dish than them. I’ve eaten lamb biryani all my life and have never felt so elated eating an Indian dish before; It was a first for me. The color, texture and taste of the rice and lamb was bursting with multi-dimensional flavors that are indescribable at this moment. I’m currently salivating for that lamb biryani dish right now, and it’s 3 days later. Yes, Red Toque Cafe is that good! After we feasted on a meal for royalty we dashed on over to the Official DC Diwali Dhamaka Dance Party at Penthouse 9 on 9th street. Right as the doors opened, we jostled right in and met up with my good friend Mike ( it was his first Diwali too) and his close friends. The venue was ornate, music was hip, and ambiance was jovial. Guests wore an array of reds, whites, blacks and other scintillating colors that seemed to embrace the festivities. I had a wonderful time dancing to Bhangra songs, Top 50 Hindi hits and with “nerding it up” to Gangnam style with my friends. I have to admit, Manan Katohora is an amazing promoter. He did a great job not only promoting this party but also making it all run so smoothly. Since I had to wake up early for the D.C Metro Cooking Show the next morning, I had to leave after a few hours. Overall, I had a memorable time and hope to do another Diwali again in the future!